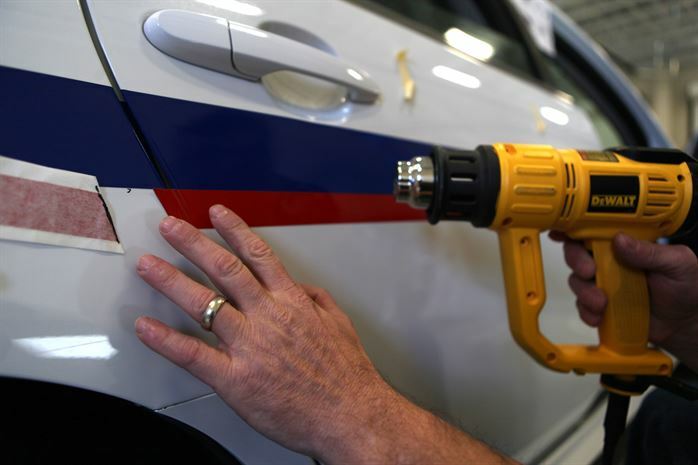 An automotive heat gun is a garage tool that can be used in numerous situations. Many people will opt for using a hairdryer for heat but it will not output enough heat for tasks such as tinting car windows or wrapping your cars interior. The best heat gun is the DEWALT D26960K, which is a heavy duty example that allows for 50 degree increments and has a LCD display for ease of use. In the wrong hands, heat guns can be highly dangerous but work great for bending plastics or being used for removing paint. Investing into a quality automotive heat gun can be an excellent investment and last for many years to come. The average hair dryer will only be able to produce a maximum of 100°C to 200°C of heat whereas an automotive heat gun will be able to produce heat of 100°C to 750°C. Heat guns will have more heat settings than the average hair dryer that usually has three settings, which makes it more usable. This difference in power can make a huge difference in certain situations when working on your car. For example, when using a fender roller, you will need as much heat as possible to prevent the removal of paint. We strongly recommend avoiding the cheap products because they will have a more lenient safety regulations. Below is a list of the best heat guns that provide various settings and are suited towards the automotive environment. For those looking for every additional accessories possible with multiple settings, then the Dewalt D26960K is the best option. This is more suited for people that use heat guns on a regular basis for removing car glues, paint and much more. Clever features of this heat gun include an overload protection that switches the heating element down to prevent burn outs. Intelligent features like this increase the lifespan greatly and Dewalt provide peace of mind with the 3 year warranty. Overall, it is the best heat gun you can buy and although expensive, the additional attachments make up for the cost. It also lives up to the durable reputation of other Dewalt products with a heavy duty constructions. For those that have a relaxed budget and want something a bit special, the Master Appliance HG-302A is a great option. It is available in a range of temperature ratings that begin at 200 degrees and end at a huge 1,000 degrees. Those that are interested in the Master Appliance HG-302A have probably used a heat gun beforehand. Therefore, you know that cheap alternatives can break fairly easily with just a few hours of use. 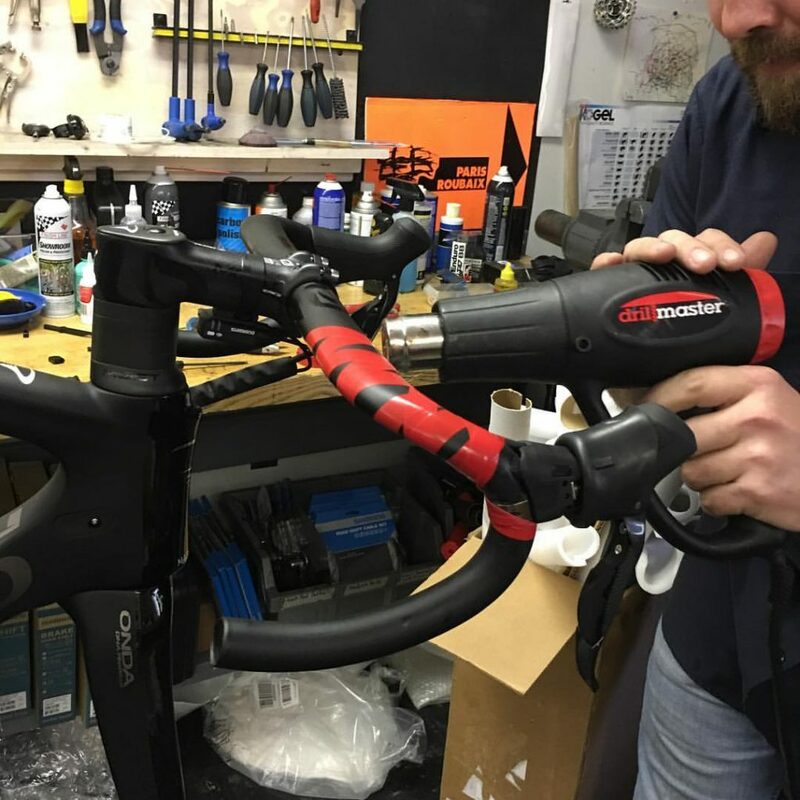 However, this heat gun has been designed so that any parts can be easily replaced in case they do break. This is an excellent feature and makes this a long term investment that can be easily repaired. The price of this heat gun is a drawback as the top rated options are fairly expensive. On top of this, it also does not come with attachments compared with similar priced models (i.e. the Dewalt heat gun above). However, when it comes to reliability, quality construction and ease of replacing parts, this is by far the best. Both the Master Appliance and Dewalt heat gun alternatives are fairly expensive for those that will rarely use them. However, the Black and Decker HG1300 is a more affordable alternative that will provide a powerful amount of heat. Overall, the Black and Decker HG1300 is one of the best heat guns for the money. It can be used effectively for automotive tasks but also great for other tasks such as drying paint, shrink wrapping and much more. Wagner is one of the largest brands in the heat gun industry and the Wagner Furno 700 is one of their best models. It includes a LCD screen for exact readings and an ergonomic design for comfort and balance. Thanks to a ceramic element for the heat, the life span of the Wagner heat gun is much greater than others. Of course, using these materials results in a far greater price tag but its only slightly more than the Black and Decker alternative above. It is a great all rounder and ideal for those on a mid-range budget. When it comes to value for money, the Genesis GHG1500A is an excellent option. Like the Dewalt heat gun package above, this example also comes with a number accessories that can make using the heat gun far easier. The extra nozzles and integrated stand are great features for a cheap heat gun that not even the premium units have. Value for money with the Genesis heat gun is outstanding and you will not be disappointed with your purchase. Owning a heat gun allows you to perform a range of tasks. From debadging your car to heating up frozen pipes in your home. They can be used for various applications and well worth spending the little extra for a more powerful device. A heat gun is a fairly simple device that uses internal fans to blow heat generated from the motor. Not all heat gun are the same and its highly recommended that you look for complete packages that come with a range of attachments. Budget plays a big part on the quality of the heat gun, which includes it temperature range, settings and life span. Below is our buying guide to help you make a more informed buying decision and one that will not leave you disappointed. The majority of heat guns will be able to produce between 100 to 1,500 degree Fahrenheit. Of course, the higher temperature rated heat gun will be far more expensive but the extra heat can make tasks far easier. For example, heating up plastics or adhesive whilst its cold will be far quicker. When it comes to adjusting the temperature, some will either come as a simple dual control whereas others have 20 or more settings. The wider range of temperatures that are available will make working with different applications far easier and of course safer. Too much heat can cause problems with adverse side effects. For those that are still thinking about using their hair dryer, take a look at this video. The video shows how much of a difference the temperate plays a role when using a rated heat gun. Fan speed is a rating that many people new to heat gun may not take notice of. However, when using the tool, the more control you have of the fan speed will enable to work more efficiently. For example, larger jobs could take hours with a poor airflow. Having the right nozzle attachment for the job can make a world of difference. For example, if you were applying vinyl wrap to your car bonnet, a flat or fishtail nozzle will spread the heat over a wider area. Using a heat gun should be used with caution as it can cause injury or expensive damage when used incorrectly. When it comes to using it within an automotive application, melting plastics is very common and there is even potential to cause of fire in some cases. We highly recommend that you have a car fire extinguisher nearby for emergency situations. For good practice, always attach nozzles to the heat gun prior to turning it on. You may be surprised to how quickly the heat gun will heat up. Basic common sense is key to the safety of using a heat gun and you should never leave it turned on and unattended. Owning a heat gun that is ideal for using within automotive applications can make your job far easier. Avoid using a hair dryer as they will simply not heat up to the temperatures that you require. All of our recommendations are suited to automotive use and are aimed at those with high to low budgets.